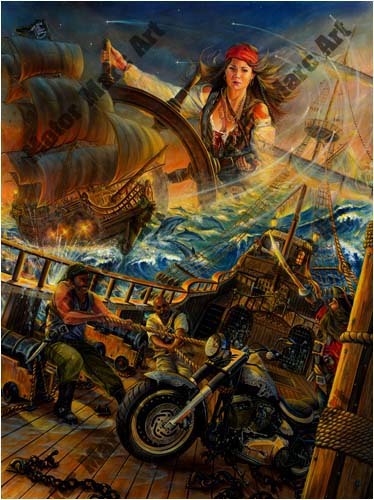 Jewel of the Seas is the eighth painting in the Hidden Treasures series by “Motor” Marc Lacourciere. After plundering the treasures of Pirate’s Cove, we find our beauty transformed at the helm of her own ship and taking to the high seas in search of her next treasure. Setting the course are her beloved dolphins as they pierce through ferocious waters, etching a path to a new destination. She finds the great iron beast with three guards trying to hold it down as she attacks the ship. This is her first voyage as Captain of her own vessel. Can she rise to the caliber of her predecessors such as Anne Bonny or Mary Read? 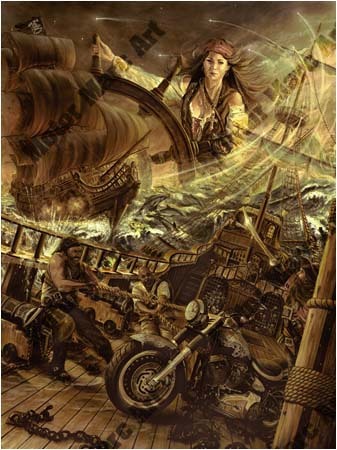 Does she have the ability to maneuver treacherous seas as it seeks its revenge for breaking the Pirate Code of Conduct? Order yours now, as these are in low limited number editions. 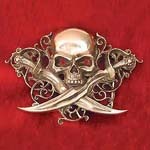 An official, Royal warrant given to ‘privateers’ (pirates! ), authorizing them to seize and destroy property of a country’s enemies. An 18th century license to kill! 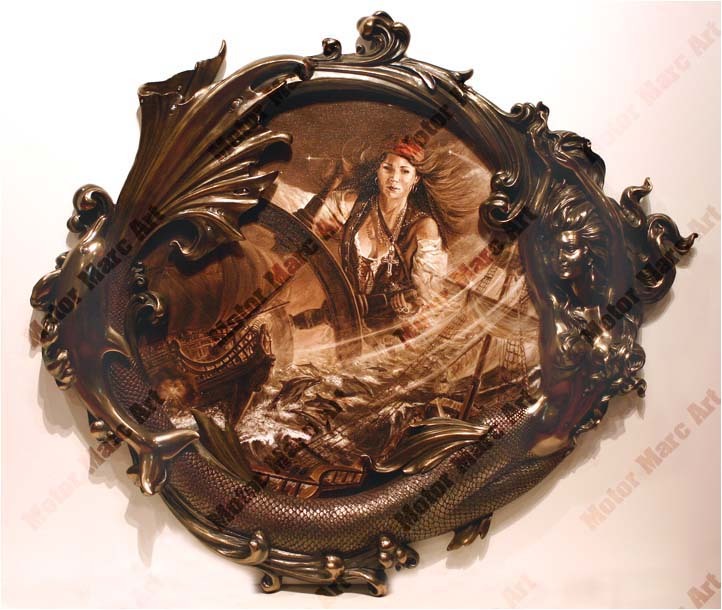 A beautiful mermaids and dolphin swimming around an oval sepia tone print. The perfect design to Motor Marc Hidden Treasures story. This custom design frame and print will only be offered in very low numbers. A beautiful addition and collectable to his collection of the High Seas Rally fine art. This exquisite art piece will be shown and available to order on the HSR Cruise limited to fifteen. 23 1/2" x 26 3/4", 24" x 32"